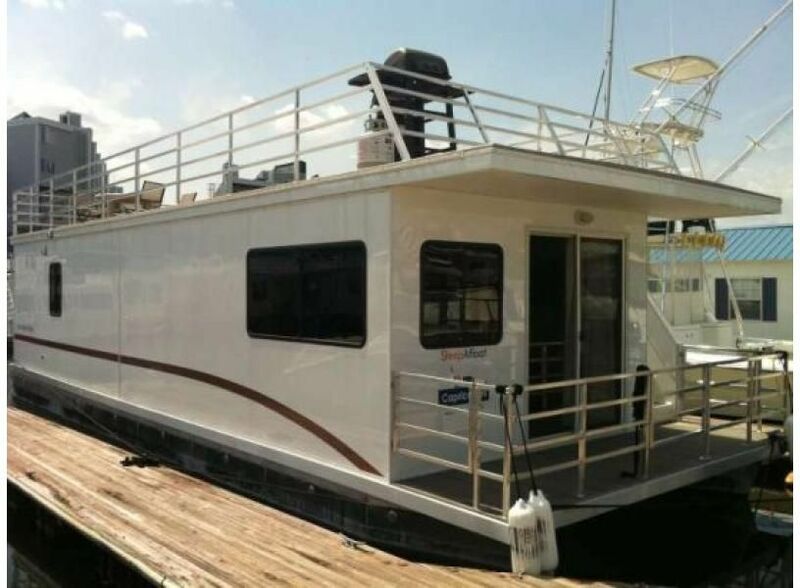 Houseboat Capricornus: Amazing On Water Experience with HUGE Roofdeck! Come stay aboard our FABULOUS houseboat, berthed in one of the most convenient marinas for exploring all that Boston has to offer! Capricornus is your home away from home--on the water! Holiday rates are higher - please call for rates. Guests must electronically sign off on our SleepAfloat Rental Terms & Conditions within 48 hours of booking to validate confirmation. Capricornus is a fabulous rental. It's unlike anything else you will find in downtown Boston, not only is it modern and spacious but it's docked right on the water in downtown Boston! The boat is within walking distance to most tourist attractions and several subway stations. You are staying literally on the water. Enough said. Parking at the marina for $25/day. Minimum Age Limit for Renters: The guest entering into the contract needs to be at least 25 years old. Pet Friendly: $50 pet fee applies. Capt Jimmy met us upon arrival @ our house boat homeaway! Pristine, 2br apt on the water. Will absolutely stay again & have recommended to family & friends. The boat was clean and had everything we needed for our stay. The location was perfect. The view was priceless. What a great experience aboard! Capt Jimmy was very helpful and hospitable, making sure that our check in was seamless. We connected with the other Sleep Afloaters and had a blast in Lewis Harbor! We really enjoyed our stay on the houseboat.....will definitely look into using something like this again! this was yet another great experience! boat was clean and well set up,close to north end of town. hope this company continues to grow and have more boats in other great locations. Near Boston harbor and North end. Capricornus was a good choice and had all the conveniences. Great location near long wharf! Staff was very attentive to needs. Well Done! We'll be back.